Calgary Flames defenceman Ladislav Smid will sit out the entire 2016-17 season due to lingering neck issues. 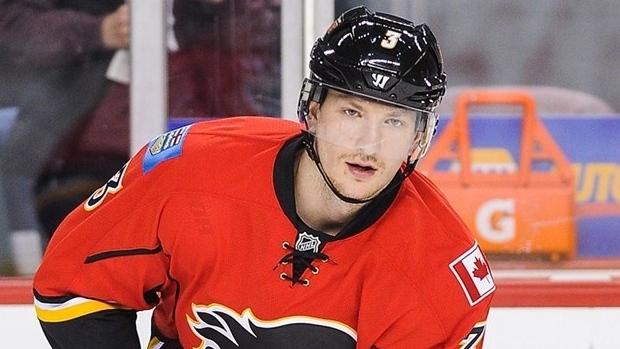 Smid told the Calgary Sun that while he won't be retiring, he has been ruled out for the year. The Flames have not yet decided whether to place the veteran defenceman on long-term injured reserve. His cap hit sits at $3.5 million this season, the last of his four-year deal signed with the Oilers in 2013. Smid will, however, have a role with the team this year. Flames general manager said he's offered Smid positions around the organization including in scouting, front-office work and coaching. “We talked about it,” Smid told the Sun. “I’m very happy he’s helping me out and trying to utilize me in different roles. We’ll see what’s that going to be. Whether it’s visiting players we’re scouting, I don’t know. Smid, 30, played 22 games with the Flames last season, failing to register a point. He has undergone two neck surgeries and suffered multiple concussions in his NHL career which extends 583 games.